The season’s weather may be cooling down, but its shopping is just heating up as the official holiday shopping season is about to begin. Since almost every brand and business will try to tie their products to the season, marketers need to know how to package their brand for holiday shoppers and make their experience joyful. 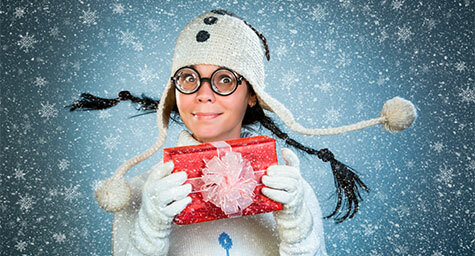 As a gift to marketers everywhere, MediaPost.com wrapped up today’s most timely tips on what holiday shoppers want this season and how brands can make them happy. Make your site’s mobile shopping experience as user friendly and stress free as possible by removing any barriers and optimizing viewing for all devices. Prominently place your best holiday deals or messages right in front of viewers. Have a full staff to monitor your social media channels since busy shopping days are likely to bring more visitors sharing their buys and asking for advice. Optimize all of your websites and online promotions to display well on mobile screens of all sizes. Fix the sizes of critical call-to-action buttons to suit bigger screen sizes. Make sure that your online content is extremely visually appealing since it will make a much greater impact. Spotlight positive reviews on your website. Ask loyalty program members or frequent site users to contribute a review. Seek out PR opportunities to collect additional third-party endorsements. Offer a special gift or experience that is redeemable after the holidays to increase engagement and build loyalty in 2015. Partner with a brand that shares your audience and offer freebies for the other’s products. Ask loyal customers for their opinions and requests on desirable freebies. Carefully review your website’s features and functionality to ensure that your online shopping experience exceeds customers’ expectations. Send emails promoting online holiday specials with direct calls to action for future engagement. Target customers who still prefer the in-store experience with emails featuring online-only deals to entice them to try shopping online. Discuss the advantages and disadvantages of allowing shopping on Thanksgiving Day and late on Christmas Eve. Make sure there is plenty of support staff to provide the necessary customer support during all of the shopping days. Prepare promotional materials and blog posts to announce extended store hours, as well as defend openings during controversial times. Decide whether there is time to implement Apple Pay before the holidays begin. Make sure that in-store staff are well trained in explaining Apple Pay to both employees and customers unfamiliar with the feature. Ask if employees have a complete understanding of refunds with Apple Pay. Try these seven holiday marketing trends to present your brand with a season of sales. Get started today on creating an effective holiday marketing strategy. Contact MDG Advertising. MDG Advertising is a full-service advertising agency and one of Florida’s top branding firms. With offices in Boca Raton and New York City, MDG’s core capabilities include branding, logo design, print advertising, digital marketing, mobile marketing, email marketing, media planning and buying, TV and radio, outdoor advertising, newspaper, video marketing, Web design and development, content marketing, mobile marketing, social media marketing, and SEO. To discover the latest trends in branding and advertising, contact MDG Advertising.